The cookbook I use for this weeks challenge was one of those "if you buy this product, you get this book free!" type deals from Leggo’s. In said cases, I usually expect nothing much. A few pasta recipes, some spaggy bol, nothing I haven't seen before. I was pleasantly surprised by the diversity in this book, with twists on old classics like a gnocci bake, and then there's the diversity of meaty dishes. 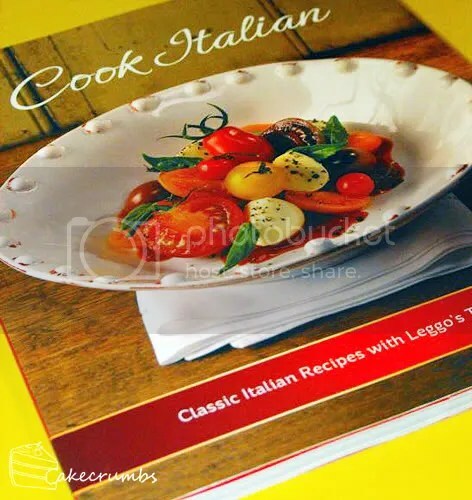 The catch with said books is that you usually have to buy their products to make the recipes, however the theme is simply that all use Leggo's tomato paste, which can be subbed by an sort of tomato paste or puree. Whilst trying to think of something to cook for dinner the other night, I rummage through this book and found something that I both had never made (or eaten!) before, and had the ingredients for. Look, here’s me pretending to be organised. I am terrible at following recipes to a tee. I really tried for this challenge. But I couldn’t resist adding in some mushrooms as well, and later carrots when I made this recipe the next time for dad. I also put in an extra garlic clove and definitely more than one bay leaf. I also added a sample of Continental’s new chicken “stock pot” we got in the mail to substitute for being able to season it the way I like. Cheating, I know, but I like my dishes to be full of flavour and get nervous when the recipe uses only 2 spices! I also altered the cooking method slightly: I added the wine before any of the wet ingredients to deglaze the pan and cook out the alcohol first. I always do this when cooking with wine. After that boiled I then added the other ingredients. I also never crush garlic. Following on from a chef’s tip a received, crushing the garlic loses out on too much of the flavour. So I dice it very finely. Well I clearly loved it so much I made it later in the week for my dad. Served it both times with penne. You may use boneless chicken for this recipe: simply reduce cooking time to 40-45 minutes. 2. 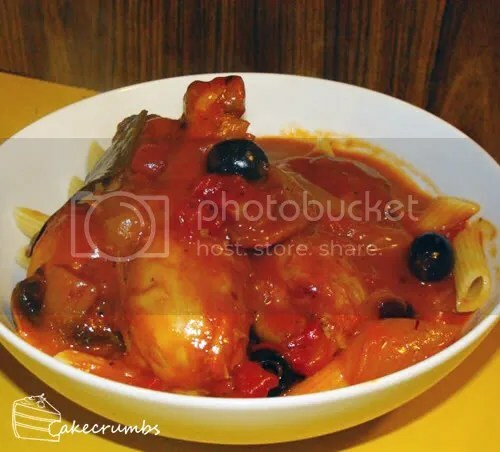 Heat olive oil in large saucepan, add chicken pieces and brown on all sides, remove and set aside. 3. 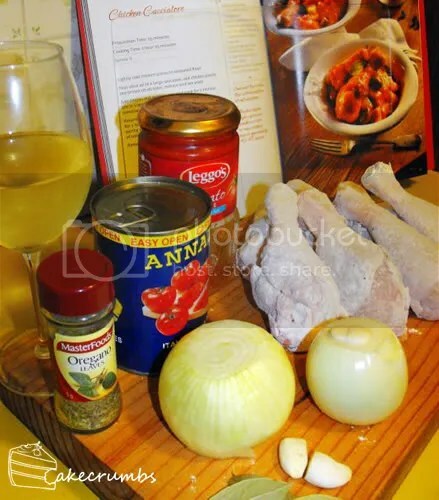 Add onions and to garlic pan and cook for one minute, stir in Leggo's tomato paste, oregano, bay leaf, tomatoes, wine, water and stock powder, stirring well. 4. Return chicken pieces to the pan, cover and simmer for 1 hour or until cooked, stirring occasionally during cooking. Add olives for the last 10 minutes of cooking time. 5. Remove bay leaf before serving. This tasted great. I loved the tomatoey-ness of it – had really good flavours. Yes, but you know and I know that in reality I am never organised. I never have all my ingredients ready and measured out. It’s more like “… garlic? I need garlic. WHERE’S THE GARLIC?” then I have a neurotic freakout scene like Nina with the peeler until the garlic is found, chopped and added.